It's been our dream, since we began in 1999, to bring low-cost wheelchair vans to every person with a need for one. Our online sales method allows customers in Bend, Oregon the chance to buy a handicap van at our affordable prices from one of the top dealers in the nation-all from the comfort of their home.You'll collaborate with a mobility professional to create a personal sales experience around your busy schedule using the Internet and phone. Once we wrap up the sale, one of our professionals can deliver your handicap accessible van direct to your home or office in Bend, OR. 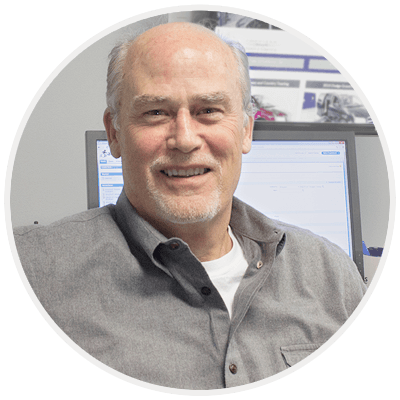 Choose to have a mobility professional drive your van from our facility, across the country, to your home or office in Bend, Oregon, and then, fly home. Rather than incur the mileage from a cross-country trip, opt to have our professional drive a truck and haul your wheelchair van to anywhere in the Bend, OR area. An economical alternative to delivery, we invite you to travel to Atlanta, GA and pay us a visit. Atlanta is easy accessible by air, rail, or bus to make any mode of travel convenient. Once you're here, explore our gorgeous city in your new wheelchair van before going home. Customers from Bend, OR that get their handicapped vans home personally normally qualify for a pick-up discount off the purchase price. Since our new and used wheelchair vans work differently from typical minivans, we offer our "White Glove Service" to get you accustomed to operating the equipment on your own. Our mobility professional will show you how to use everything installed on the van-from adjusting the seats to the wheelchair tie downs, point out the safety features, and answer your questions before leaving you the keys. 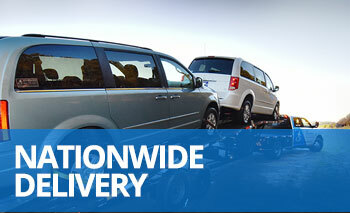 Our customers all have the option to refuse the sale of their handicapped vans upon delivery. For any reason, if you change your mind at the time of delivery, tell the mobility professional and we'll take the wheelchair van back to our office, end the sale, and get a refund of your payment in the mail. If you'd like another opinion, we'll meet you at a mechanic in Bend, Oregon and wait with you while they review the condition of the adapted van before you make a final commitment. Wheelchair van conversions are installed on Dodge, Chrysler, and Honda minivans at AMS Vans, giving them some of the highest resale values in the business. When you are ready to upgrade, AMS Vans considers gently used handicap vans from AMS Vans and other manufacturers to buy direct or AMS Vans customers can list in our mobility classifieds, free, if they would rather sell privately. We also accept both accessible and factory vehicles for trade-in towards the purchase of a wheelchair van. Customers who live in Bend, Oregon can have their trade-ins picked up when we deliver for added convenience. Call us at 800-775-VANS (8267) Monday-Friday to learn more about the opportunities we have available. We'll obtain your unique accessibility needs and feature some handicap vans for sale that meet your expectations. Once you pick out one to move forward on, we'll handle the rest while you stay home in Bend, Oregon. We've been fortunate to have had the chance to bring so many people across the United States affordable accessible transportation and we can't wait to come to Bend, OR in the near future and delivery a new or used wheelchair van to your driveway.